In a season that saw Jon Snow and Daenerys Targaryen knock boots and (spoiler alert!) the Wall come a'tumbling down thanks to the Night King's new zombie dragon, perhaps nothing generated more chatter than Ed Sheeran's much-discussed cameo in the Game of Thronesseason seven premiere. OK, we might be exaggerating a little, but back at the beginning of the summer, it certainly seemed that all GoT fans had an opinion on the divisive cameo, which saw the crooner step into a Lannister soldier's uniform and appear alongside superfan Maisie Williams, showing off his golden pipes as he and his fellow soldiers showed Arya some kindness despite her "joke" that she intended on killing their queen. Was it a fun cheeky wink or a moment of artifice-shattering foolishness? We'll leave that for Twitter to continue to debate. The bigger question is: Will we ever see the guy again? According to Sheeran himself, don't count on it. In fact, the "Shape of You" singer isn't even sure his character made it out of the season alive. After all, Dany's attack on Lannister forces on the Roseroad in "The Spoils of War," the season's fourth episode, left plenty of Cersei's men burned to a crisp courtesy of Drogon. "We were all quite young, those soldiers," Sheeran told MTV in a new interview. "I doubt I'm going to survive for that long, to be honest, when there are dragons in the world." (FWIW, that episode's director, Matt Shakman, told Mashable he didn't think "those soldiers were there." 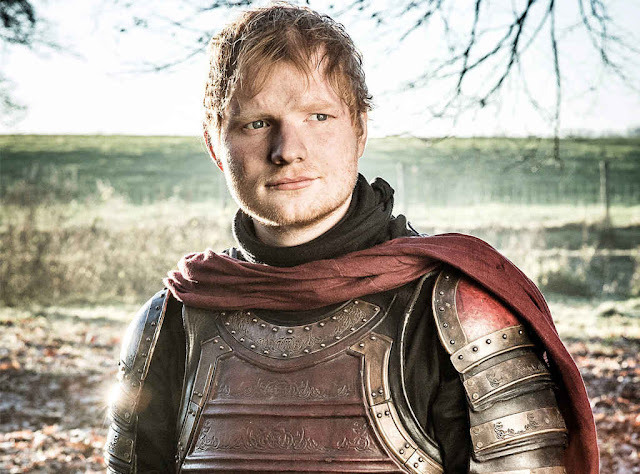 Alive or not, Sheeran admitted that there are no plans for him or his vocal prowess to pop back up when the HBO hit returns for its final season (likely debuting in 2019 because the world is a dark and cruel place). "No one wants to see me come back," he said. "I wanted to be a cameo in it, and I've done the cameo. I'm cool with it, though. I enjoyed it." Are you bummed that Sheeran won't be back or relieved that his tiny cameo was just that? Sound off in the comments below! Game of Thrones' final season premiere date on HBO remains TBD.